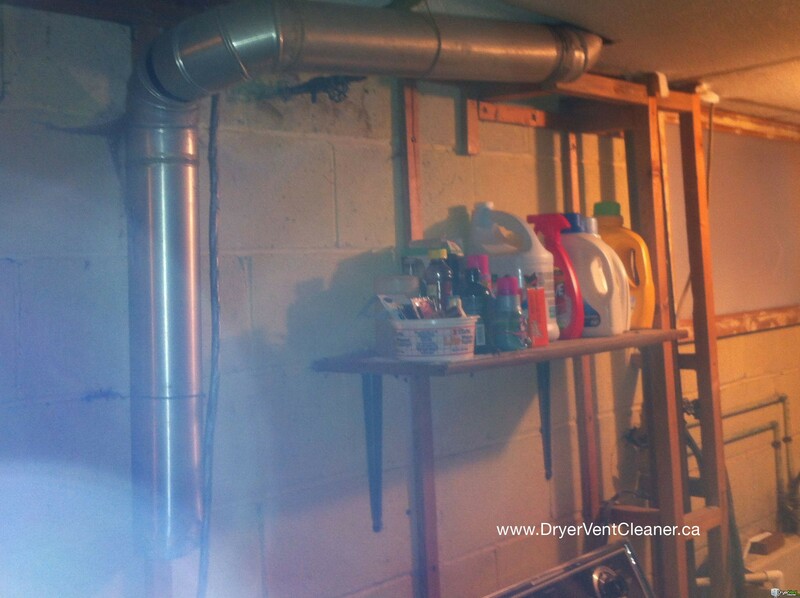 You are here: Home / Dryer Fire Prevention / Hey Presto! We Pull a Live Rabbit Out of a Dryer! So the phone rings late in the afternoon and this lady asks if this is Dryer Vent Cleaner … “Yes you have the right place, how can I help?”. She then went on to explain that she had a Burlington Appliance repair Company come out to look at her dryer, as it was taking a long time to dry her clothes. They took one look and saw what they thought was a dead rabbit and told her to call us. Do we remove “Dead rabbits from dryers” was the next question? Hmm having never encountered dead rabbits (mice, chipmunks, dead and live birds yes but never a rabbit) it was a tough one, however who else would rise to the challenge and help this lady in distress? Within 45 minutes of Mrs D calling we were there on site, as it was just down the road! A quick examination by removing the transition hose showed a pile of rabbit poop and a white cotton tail of a rabbit in the duct at the back of the dryer. Trauma cleanup is not something we want to get involved in, but this lady who’s husband has been in hospital since October had laundry that needed to be attended to. Facing up to the fact that this needed to be resolved a deep breath and the decision was made to remove the duct work inside the dryer, meaning a strip down of the dryer, front and drum. Then a garbage bag placed over the end to pull the duct work into, so far pretty easy. The duct work is removed leaving the blower motor housing and the motor in place … with a cotton tail showing inside the blower housing! Hey Did That Rabbit Just Move? I swore the rabbit was in the duct work inside the dryer, but then again I could have been wrong! When I touched this rabbits behind it moved deeper into the dryer blower housing! Yes it moved even further into the housing I tried giving the rabbit a little pull but a pile of fluff was all I got, he was stuck fast. Was this rabbit injured? after all the blower fan rotates at a high RPM (revolutions per minute)did it hit it when it was running? Ok Mr or Mrs stubborn rabbit will not come out and I do not want to force it out, I tried tilting the dryer 90 degrees and shaking it but no movement, its time to move the dryer upstairs and outside. Having never stripped a dryer down so far this was where the problem lay, that and one stubborn bunny. Outside with better light it was easy to see what else was needed to be removed to release the bunny. The blower housing was unscrewed but still would not budge, aahh one more screw, this time I was able to pry the blower housing away enough to peek inside. The Rabbits Injured What to Do? Initially I thought the rabbit was injured, it had crawled too far into the blower and got hit by the fan, lets see … Something was holding the housing in place, it was the motor once removed access to the bunny was easy. Fearing the worst for this little fellow I was ready with a bag to put it in and deciding what to do next. Was it to the vet or would I need to put it out of it’s misery. No need the rabbit was just sat there stunned from all that was happening, nothing wrong at all, just a quick nudge and off he hopped. To ensure that no future rabbits can be enticed to take residence in Mrs D’s dryer a replacement cap was fitted, the duct work inside the dryer was replaced, the dryer vent was cleaned and the connecting hose replaced. And the dryer was returned back to the basement and one happy homeowner in Burlington. Vent caps do not last forever especially those installed by builders! We have removed many a dead mouse, bird, chipmunk and now a live rabbit, by ensuring you have all the Louvres or a damper fitted you should be able to keep the pests out. 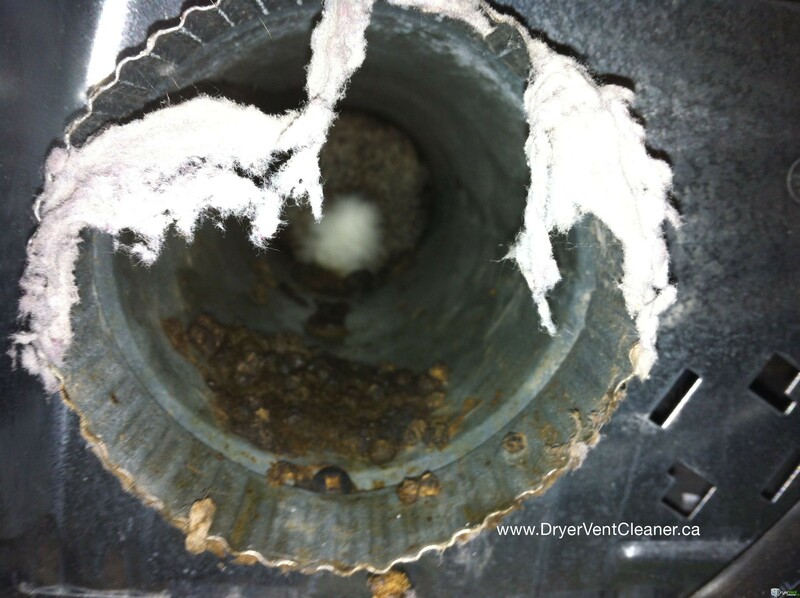 A vent cap should never have a screen on the end as this can cause dryer fires as lint cannot escape. 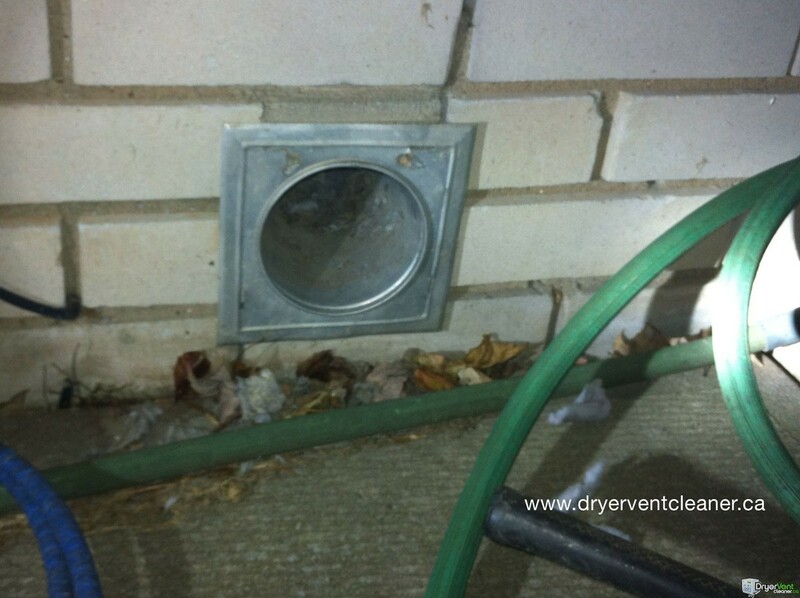 We replace vent caps as well as re-routing dryer vents, cleaning the dryer vent and cleaning inside the dryer cabinet. 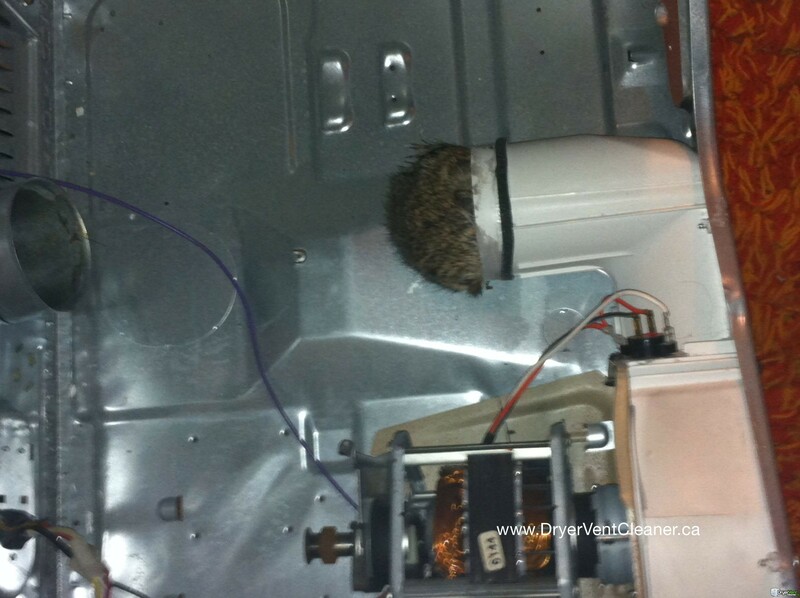 Rabbits should not hide inside a dryer, warm or not!